The $100k buy-in Super High Roller 8-Handed Unlimited Re-Entry attracted 43 unique players creating one of the biggest high roller tournaments ever. 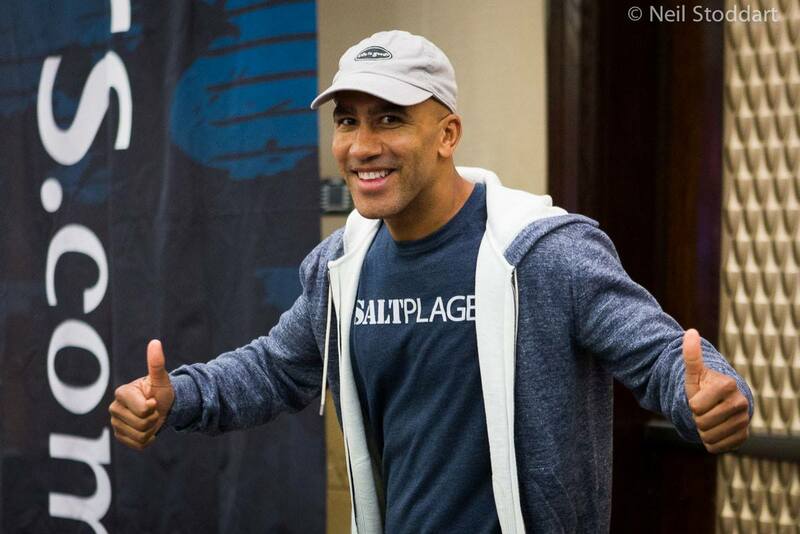 There were also 6 re-entries, two of which belonged to Bill Perkins, who will also re-enter the tournament on Day 2, bringing his total investment into the tournament to $400,000. The first big poker festival is the year is the PCA held in the Bahamas. There are 104 tournaments in the schedule and the festival kicked off with the $100,000 Super High Roller. Players started with 250,000 chips but that didn't stop Bill Perkins from getting eliminated during Level 1 (500/1,000 - 100 ante). 2015 WSOP Main Event champ Joe McKeehen raised to $3,000 from UTG, Perkins called from one seat over and Sam Greenwood raised to 12,000 from the button. Both McKeehen and Perkins called and the dealer put out a 8-4-3 flop with two clubs. McKeehen and Perkins checked, Greenwood bet 16,400, McKeehen called and Perkins shoved for roughly 115,000. Greenwood folded and McKeehen called. Perkins showed 6-2 of clubs for a straightflush draw, unfortunately for him he was crushed by McKeehen's T-8 of clubs. The turn and river brought no difference and Perkins didn't waste much time to re-enter. During Level 5 (1,200/2,400 - 300 ante) he was once again felted, he paid off Isaac Haxton's J-T with A-Q on a Q-8-5-9-A board. Haxton couldn't hold onto his newfound chips for long however and also had to re-enter. Perkins burned through another stack by Level 7 (2,000/4,000 - 500 ante), in his final hand of the day he shoved for 24,500 over Steve O'Dwyers UTG raise. O'Dwyer called with Q-T and managed to crack Perkins' Q-J. Perkins smiled and told the table that he would re-enter the next day. A total of 32 players advanced to Day 2 and the biggest stack belongs to Talal Shakerchi, he is closely followed by Nick Petrangelo and Kathy Lene.